Calling all cheese lovers; this epicurean tour takes in the best cheese regions of northern Spain and the French Pays Basque. As you will discover the common success factors of all the differentiating cheese appellations included is the quality of the milk whether from cow, goat or sheep. The animals are reared in the best conditions, grazing on the lushest of pastures, followed by traditional cheese making and maturation processes. The climate influences greatly all stages, but especially maturation. You will see that the terroir of the cheese regions is as crucial and expressive as in wine. What better way to sample, savor or gobble these heavenly, creamy delicacies than with stellar wines and artisan ciders, whilst admiring some of the most spectacular scenery; rugged coastline, dramatic mountains, and rolling green hills. 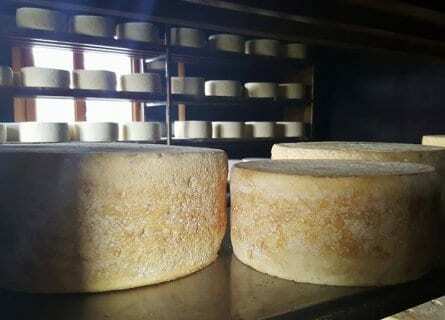 We, Cellar Tours have designed this gourmand trip starting in Bilbao from where you will be whisked away to breathtakingly beautiful Asturias, home to a number of sensational cheese AOPS including Gamoneu and Cabrales. Asturias is utterly delightful and your cheese farm experiences will be interspersed with coastal walks, a cable car ride to the heights of the “Picos de Europa”, cider tastings and visits to the cutest towns and villages of the region. Moving on from Asturias to as equally as impressive Cantabria, taking in the famous Queso Picón. Before hitting San Sebastian which wins hands down the gourmet capital of Spain status; an infinite number of top eateries, Michelin starred haunts and more variety of Pintxos (the local name for tapa) than you can imagine. From here you will visit Iziazábal producers, the fascinating Ossau Iraty region in Pays Basque and Queso Camerano and fine wine region of Rioja. Please note that the best starting day for this tour is Thursday and that this precise program is orientated to groups, however for smaller groups of 2 guests we can modify the program. Contact us for more information on this fabulous experience. On arrival at Bilbao airport, your chauffeur will be waiting for you. Hit the road and head west to beautiful Asturias, home to some of Spain’s best shepherd’s cheeses. First stop is at a quaint, stone “sidreria” Cider House; Casa Poli for a delicious tapas-style lunch. Generous portions of octopus, local anchovies, chorizo cooked in cider, cured ham, meats and cheeses accompanied by a continuous flow of scrumptious cider – welcome to Asturias! The cheeses will include Vidiago cheese from terrific, tiny artisan producers like Queso Collera. Vidiago is traditionally from cow’s milk and cured in olive oil, providing a smooth texture and mild creamy flavor. On to Llanes, a picturesque port town with a medieval quarter and dazzling beaches. Enjoy a short walking tour to orientate you, through the port, historic quarter, the Playa de Sablon and pretty Paseo San Pedro, overlooking dramatic cliffs. Free evening to relax and settle in. Your hotel is in a colonial Indian style house, you will notice a lot of this elegant architecture dotted around. There are a cozy library and a spa where you can enjoy some downtime. Llanes is brimming with seafood havens, tapas bars and inviting eateries if you fancy a bite to eat. Your chauffeur will meet you in the lobby this morning for a 20-minute drive along the coast to visit Queseria Bedon near San Antolin, a famous surfer beach for a private tour and tasting. 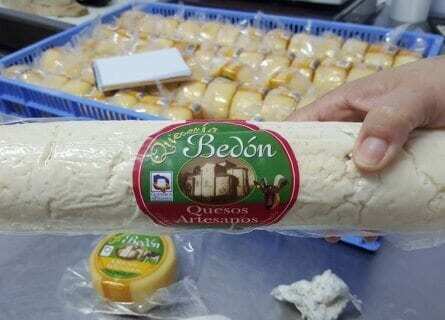 Bedón Cheese takes its name from the Bedón River that flows next to the cheese farm and ends near to the monastery of San Antolín. You will learn how they produce their fine, smooth textured and intensely aromatic cheeses from their own livestock of both cow and goat. You will most likely be invited to meet some of “furry” members of the team who happily graze in the surrounding pastures. The tasting follows, which is unsurprisingly heavenly and makes for an interesting comparison as here the cheeses are elaborated at sea level. After a convivial visit with this charming family, enjoy a scenic walk along a bucolic river set in the mountains, down to the sea and into the sweet hamlet of Naves. Lunch is at a historic cider house where they roast organic beef on a massive, wood-fired grill. The restaurant El Cabañon is in an old house refurbished around a 100,000-liter cider cellar, with an ancient press and rustic decoration with objects from the world of cider. Jacinto has been running this cider house for years and is the ultimate host. Start with “Cabracho” an exquisite paté from red scorpionfish and a wonderful cheese platter of local cheeses, most made within an hour drive. Then it is a grilled extravaganza of creole sausages, top cuts of local beef, pork steak in a chimichurri sauce, and roast peppers. Plenty of cider of course and Riojan and Galician wines. You will soon discover not to be swayed by the initial rustic appearance in many restaurants in Asturias because the quality of the locally sourced ingredients is out of this world. After your spectacular lunch, you will be grateful for a digestive walk along the beach in Celorio. Pristine, crystal clear waters lap the shore and make for a stunning contrast against the rugged grey cliffs. 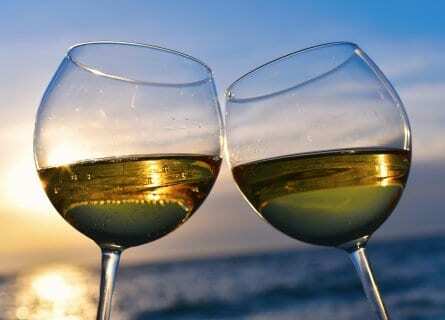 Breathe in the fresh air and then sit back, relax and enjoy a coffee or glass of wine overlooking the ocean. Head to the hamlet of Corao for a Gamoneu Cheese tasting. Gamoneu or Gamonedo or Queso de Gamonéu (D.O.P.) is produced from a blend of cows, sheep’s and goat’s milk. 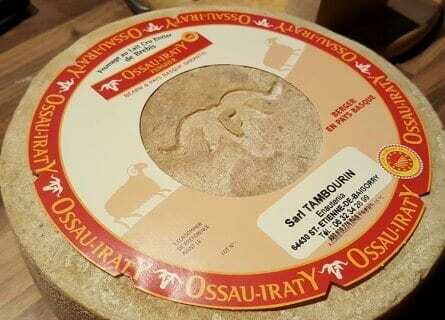 Cangas de Onis is a fascinating certified craft producer of Gamoneu de Valle cheese in the heart of the Corao. Alberto makes “Valle” using the traditional method and from milk from his own livestock. The cheese is smoked in ash and then matured in a cave in the “Peaks of Europe” natural park. The cheese wheels are not pierced to accelerate the penetration of blue veins. Rather, the delicate patches of interior blue mold are allowed to develop naturally, giving the cheese a gentle flavor and still allowing the flavors of the smoking to come through. 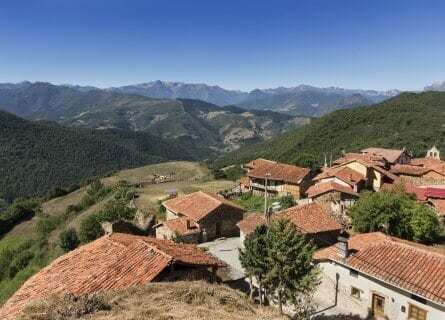 Next, you will head to the mountains and enjoy a full Cabrales experience (from the pastures to the plate) including a cave (Cueva) visit at Queseria Main in Sotres. Your hosts are a delightful young married couple who left the city where they lived to go back to their mountain village in the Cabrales P.D.O. area and continue the cheese making family tradition. They have several caves, each bringing a different taste and smell to the cheeses. Accessing some of the caves by car is totally impossible, so for some of them, the cheeses are actually transported by a horse. Finish with the tasting; starting with the young, white, fresh cheese with no aging followed by an older blue and finishing with a fabulously honking aged blue all washed down with traditional cider. After a morning of cheese tasting, you will have some free time to stroll around Sotres and grab a bite to eat, there are a few different casual bars and eateries to choose from here, naturally with our suggestions. You will then meet up with your chauffeur again and enjoy an afternoon of sightseeing and panoramic drives in the breathtaking Picos de Europa. Then head back to the hotel for some free time to freshen up, relax or perhaps do a spa circuit and make the most of your last evening in Llanes. Visit the small yet bustling country weekly market in Cangas de Onis this morning- brimming with supreme artisan products from fresh fruits and vegetables, cheeses, cured meats, and cider. It is a historical occurrence, having been held every Sunday morning for over 200 years. Afterwards you will have some free time to wander around the cute village, shop (all the shops open on market day as well, Sunday really is a working day in Cangas!) 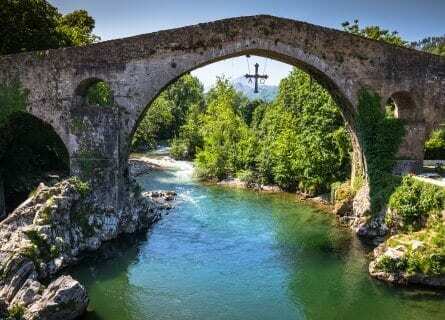 and stroll up to the emblematic Roman Bridge, known as the Roman Bridge of Cangas de Onís, the “Puente Vieyu” or “Puentón”, it is one of the best-known symbols of the Principality of Asturias. Despite its symbolic connection to Roman times, the present bridge in fact dates to medieval times, it consists of 3 arches, the middle and largest arch holds a replica of the Victory Cross (the original made of precious metal and dating back to the beginning of the 10th century is housed in Oviedo Cathedral). Lunch is a very special treat today, at Michelin starred Casa Marcial. Tucked away in the Mountains with amazing views over the green hills, in what was his family’s home and restaurant – Nacho Manzano conjures up modern interpretations of traditional Asturian cuisine, simply delicious! In the late afternoon, carry on to medieval Santillana del Mar. Contrary to what its name suggests this gem of a medieval town is neither by the sea or flat but perched prominently on the Cantabrian hills. An important stop on the Santiago Pilgrimage, many of its most striking buildings built around the Santa Maria church. It is extremely well-preserved thanks to strict development regulations and only residents being allowed to drive within the old town. Make the most of some gourmet shopping, there are fantastic cheese shops here also selling other local delicacies like honey and anchovies. Then settle into your next abode the glorious Hotel Casa del Marques. This exquisitely decorated 15th-century house, home to the first Marquis of Santillana is now a superb 5-star hotel. You may wish to nibble on some delectable snacks this evening or dine out with our recommendations. Discover more of incredible Cantabria today! 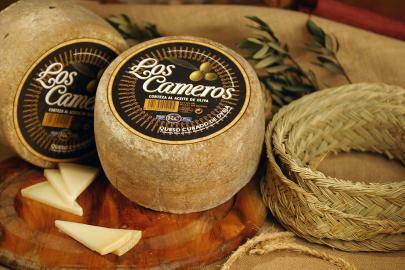 This morning you will visit an artisan “queseria” making the famous Queso Picón in the Valle de Liébana. 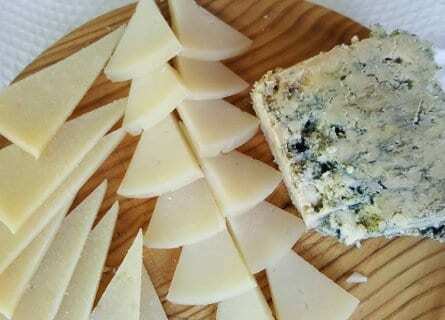 An enticing blue cheese from a mixture of cow, sheep and goat’s milk. Traditionally sold wrapped in moist leaves of Acer pseudoplatanus, but today regulations require the cheese be sold in a dark-green-colored aluminum foil. It’s truly remarkable to see the effort involved in maturing the cheeses in these caves, it’s no mean feat. Then, get ready for some outstanding views. Take the Teleferico de Fuente Dé (cable car) up into the “Picos”, climbing over 750m in less than 4 minutes taking you into the heart of the peaks at an elevation of 1823m. Once up on top, you can enjoy a coffee or glass of wine overlooking the incredible mountains, or go for a short walk. Then drive on to the historic town of Potes for an authentic, mountain lunch, feasting on more tasty local cheese. Potes is literally overflowing with monumental buildings and fortresses, highlights include the Torre del Infantado, Torre de Oregón de la Lama and the Gothic church of Saint Vicente. Transfer back to your hotel and then enjoy a free late afternoon and evening in the bewitching hamlet of Santillana. After breakfast, your chauffeur will be waiting for you to whisk you off the striking Basque Country. Sit back and make yourself comfy as it’s a good 2-hour 15-minute drive. Your base for the remainder of this trip is alluring San Sebastian, it really is a special place; it’s stunningly beautiful and heaven on earth for the gourmand, with infinite bars, taverns and restaurants serving top-notch food and more Michelin starred haunts than you can dream of fitting in. 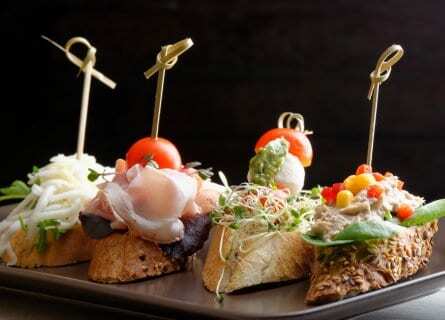 You will arrive in time for a Pintxos tour of characterful tapas bars in the old quarter, there will be a focus on cheese, but you will be as equally blown away by the other local specialties. Free afternoon and evening to enjoy this gorgeous seaside town on your own. Take in a stroll and a spot of shopping in the commercial district of Gros. A contrast to the historic old town, but with its own charm; neat streets are lined with elegant 19th-century townhouses. Artistically San Sebastian is great fun to explore from the numerous sculptures dotted around the town or at an exhibition in the cultural center or museums. Weather depending you can soak up some rays on the beach or simply choose one of the numerous terraces to sip a coffee or glass of vino and watch the world go by. Today you will enjoy an Idiazábal cheese experience. But first, hit the atmospheric market in Ordizia for a peek, it’s only a half hour drive inland south of San Sebastian. This weekly market is the center of top local produce and agriculture, absolutely brimming with stalls with the finest array of cheeses, cured meats, pickles, vegetables, and livestock. Lunch is next in the Oiangu Park at Caserio Oiangu, a historic, cozy farmhouse has been converted into a remarkable tavern come restaurant come bar, the creative brains behind this project are 4 young and dynamic chefs; Ferran, Iñaki, Ander and Tomé. They prepare inspiring variations of traditional Basque dishes, a favorite being the “Slow cooked pork with passion fruit jelly”. There is a vegetable and herb garden on site and they produce their own charcuterie – delicious! Visit the stellar Aranburu cheese farm, Gold Medal winner of the World Cheese Awards. Their sumptuous lightly smoked cheeses are made with milk from their own herd of Latxa sheep. The sheep are fed only on the best pastures and only whole milk is used, totally free of any preservatives and colostrum free, as this can affect the ripening and maturation process. Your terrific hosts will take great pleasure in sharing the secrets to their artisan cheeses, including the smoking using beech or alder wood. The resulting flavor is intense, full and balanced. Very aromatic and almost sweet, with notes of bacon and caramel. Your tasting will be accompanied by dry cider, the perfect match with Idiazábal. 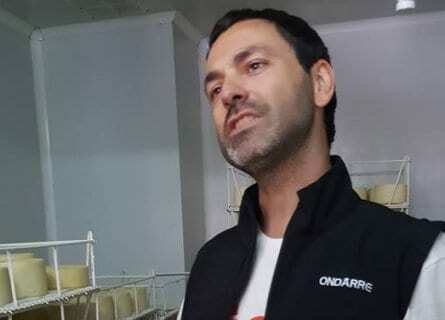 A short 20-minute drive to Queseria Ondarre; your host here is a humble cheese farmer from a multi-generational cheese family, with a lovely manner, and the most amazing cheese. They control the entire production chain, starting from the flock management (feeding, calving, milking, etc. ), continuing with the cheese making, to reach its placing on the market with the corresponding label that certifies it as what is, authentic shepherd cheese with P.D.O. Idiazábal. The owner Eneko has featured on a number of TV programs and is quite the local celebrity. Taste his Idiazábal cheeses with Riojan wine. Head back to San Sebastian for a free evening with our suggestions, you won’t be very hungry this evening. This morning you will be traveling a little further afield (approx. a 90 min drive) and across the border to Saint-Etienne-de-Baïgorry in the French Pays Basque. This is home to the AOP Ossau Iraty cheese. You will enjoy a private visit and tasting at Fromagerie Tambourin. At the foot of Mount Jarra, in the heart of the Irouléguy wine country, lies this family-run dairy and farm. The cheese making history in this family dates back to the eighteenth century. Noël, Jean-François, Michel, and Guillaume Tambourin are at the helm now and raise the sheep and make Ossau-Iraty cheese. This mouthwatering, almost fruity cheese is made from 100% ewe’s milk from the famed Brebis sheep that graze in the valleys. To respect the natural cycle of animals, milk and cheese production is seasonal. After a delightful tour, you will taste 3 different aged cheeses (4 months, 6 months and 8 months) accompanied by local wines. The countryside here is totally unspoiled. Lunch is at Michelin starred Ithuria in charming Ainhoa. Set in a picturesque farmhouse and run by brothers Stéphane and Xavier, whose parents had previously led the way since 1962. The specialties are the fish and seafood from nearby waters, washed down with some magnificent wines from their handsome cellar. After lunch, free time to enjoy a wander around Ainhoa and the adorable, neighboring village of Espelette. Famous for its dried red peppers, the Piment d’Espelette first arrived in the region thanks to one of Christopher Columbus’s sailors who bought them back, initially for medicinal purposes, they were later used to conserve meat, before becoming an integral part of Basque gastronomy. Today not only do the Espelette peppers have AOC classification but they are a characteristic feature hanging from the balconies of the attractive streets. Then it’s back to San Sebastian. Hit the wine country today, the scenic Rioja region, also home to the Queso Camerano where you will savor your final cheese tasting of this trip. Established in 1962, and using a traditional method dating back centuries before. You will have a private tour and tasting including their range of cheeses from cow, sheep and goat’s milk complemented with the superior liquid of these lands, of course – an ideal match. Then, a fine wine tour at outstanding Roda; producing some of the most succulent wine in Rioja, we are sure you will agree having tasted their powerful, spicy and concentrated superior quality reds. After a private tour of the spectacular premises, you will conclude with a tasting of not only their wines but their truly remarkable, finger-licking Arbequina Olive oil – the perfect aperitif! Lunch follows at Finca de Los Arandinos, the dining room décor here is inspired by the kitchen both modern and old and makes for a light, airy ambiance in which to enjoy some authentic Riojan cuisine with a modern twist. They operate an impressive zero kilometer rule for sourcing their raw materials, this naturally being applied to the wine, serving their own range including Viero and El Conjuro, the organic red. Your chauffeur will then transfer you back to San Sebastian where you have a free evening to pack, rest or enjoy your last night in this vibrant, gourmand town. At your desired time your chauffeur will transfer you to Bilbao airport and that concludes your tasty cheese lovers tour of Northern Spain. Buen Viaje.